Townsville Events can hire you all the top-quality marquees, exhibition and party equipment, linen, dance floors, lighting and sound equipment to make your event a success. But we do much more than this. Our team of dedicated specialists love creating personalised, and visually appealing themes for your special function – be it a wedding, product launch, private party or corporate event. Apart from this, we guide you choose the best venue according to the theme and also assist you in arranging everything, from décor designs to marquee and tents. We can turn your event an electrifying one without leaving you in any stress. tables, marquees depending on the type of an event. Our extremely talented creative design team can help you in giving your function venue a mesmerising look. From designing floor plans to executing latest décor and theming options, our experts can do anything with excellence. Do you want matching chair covers and table covers for your themed party? Look no further than Townsville Events. We offer a complete range of products that you can hire to make your private party a successful one at the most reasonable price. We possess a devoted team of experts who love designing, building, installing and servicing all types and sizes of exhibitions, from registration booths to product launch. You can also hire a variety of accessories, furniture, soft furnishings, lighting to make your exhibition stand out. No matter how big or small your corporate event is, hire us for attention to detail planning because we can give your event a professional touch using the best quality of products, ranging from signage to linen and soft furnishings, Tables and dry bars to formal marquees and pavilions. We believe in creating magical memories and thus offer the best products for hire that can match your theme wedding and leave a long-lasting impression on your guests. 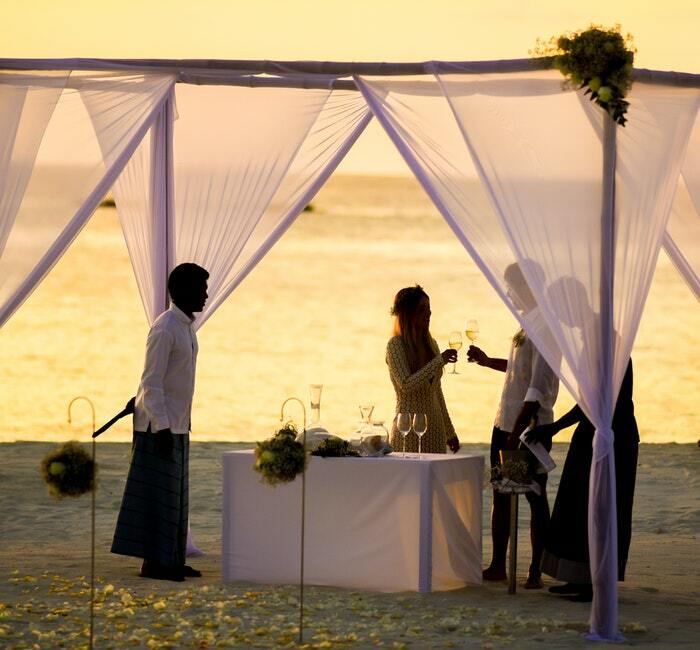 We aim to provide you with custom-made solutions on your special day. private events, weddings, and exhibitions across the Townsville, Northeastern Queensland. Whether you are hosting a private function or a corporate event, we can transform your idea to reality with precision. Want a spice of a personal touch? We offer a range of products, including furniture, linen, lights, audio system, dance floors, etc to meet your custom-made requirements.